Bargain Alert.. | Becky Alyssa's Beauty Box. Extreme Couponers have nothing on me. 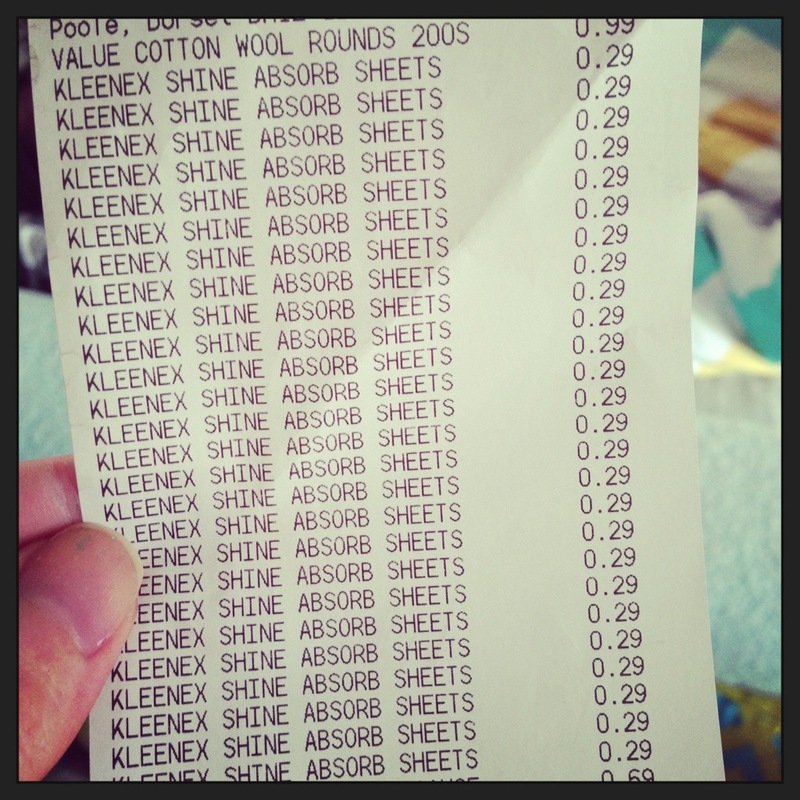 A brilliant deal from Home Bargains – 50-packs of Kleenex Shine Absorbing Sheets for just 29p each as they’re apparently being discontinued. Very similar to my HG, considerably pricier Clean & Clear oil blotting sheets: anyone with oil-prone skin should go stock up right away! This entry was posted in Uncategorized and tagged offers. Bookmark the permalink.